Could space aliens be out to get us? 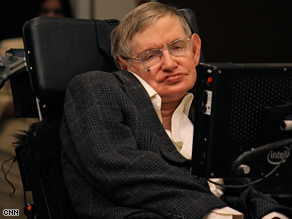 Stephen Hawking thinks so – and he tells Larry and YOU why! And, what he thinks an alien would look like! If extraterrestrials could be a danger to us, as Hawking suggests, should we stop trying to contact them? Dan Aykroyd and others debate! We'll be discussing this TONIGHT on LKL – tune in at 9pmeastern!! 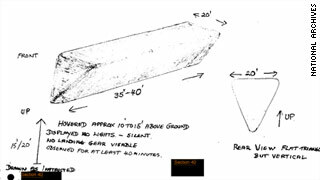 A hovering Toblerone and a silky-white residue join near-misses and strange lights in the British government's latest release of its files on UFO sightings. EXCLUSIVE! Elizabeth Edwards, wife of former presidential candidate John Edwards, speaks out on health care reform for the first time. She's going head to head with former Health and Human Services Secretary Tommy Thompson. You won't want to miss this heated debate. PLUS: Bill Cosby! Why is he joining forces with Pennsylvania Governor Ed Rendell? He'll tell Larry about his new cause. 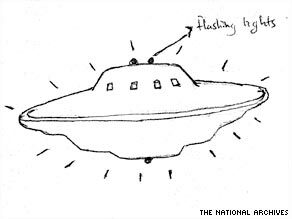 AND LAST BUT NOT LEAST: The British government releases its records of UFO sightings. Were they misidentified aircraft or something more? That's right folks, it's going to be another one of those action-packed nights on Larry King Live! An alien with a lemon-shaped head and a jazz-themed encounter with a UFO at the Glastonbury Festival are among hundreds of UFO sightings detailed in the latest batch of documents released Monday by the UK's Ministry of Defence. The sightings range from lights in the sky to close contact with aliens, and the files contain detailed analysis on some of the UK's most popular cases - a number of which remain officially unexplained. 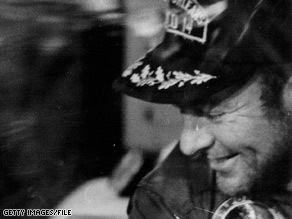 Earth Day may fall later this week, but as far as former NASA astronaut Edgar Mitchell and other UFO enthusiasts are concerned, the real story is happening elsewhere.